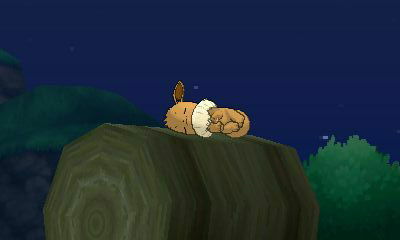 Discussion in 'Let's Go, Pikachu & Eevee' started by SleepingGiant, Mar 29, 2018. You're forgetting what open world means. Open world means that there is no limits to exploration. Pokemon doesn't have that. An open world doesn't need to have no limits. Pokemon is an open world. It's a continuous map where all areas are connected and the player can freely move between areas. Yes, some areas remain un-lockable until certain requirements are met but that doesn't make it not an open world. If people considered that to be open world they wouldn't be asking for one in this game. That says a lot about what their expectations are for an open world Pokemon game. No limits is something people want out of this series, especially after the likes of SM which blocked you off at every turn and stopped you every 5 seconds for storyline, something that many fans are complaining about. I myself have grown up playing 3D exploration games like Mario 64 and Sunshine, Ocarina of Time, Banjo Kazooie, etc. on consoles and I would like to see a Pokemon game provide a similar experience. What we have now is pretty much the exact opposite. It's pretty sad that an exploration driven game like Pokemon doesn't even reach the standards of console games as old as the entire series, let alone the massive open worlds that a modern 3D exploration game like BotW provides. This is the whole problem, since Pokemon's been living in its cushy handheld bubble for the first 20 years of its life, standards for exploration games have risen far beyond what the series has done, and now that it's transitioned to console Pokemon's being thrown right into the deep end. People, including me, want a more expansive world map with more content and geographical features and terrains. We've seen games like BOTW, Oddessey, that large detailed areas are possible on the switch. We simply want gamefreak to up the scale. I'm not suggesting that people should be able to go challenge the elite four the minute they get their starter. Or that there be no linearity to the story. Well they want that too, but they also want non-linearity. A good open world game should really have both. No non-linearity and the game isn't open to provide the level of choice and freedom people want. No expansive maps and you're still being forced along a path. You need both to maximize the feeling of openness in the world. Priority One: Get rid of the grids. It's disheartening to see them return in the LG games, without even much attempt to disguise them with more rounded edges. Moving on. Pokemon can have open-worlds, but to make it work, at least as it has before, some new coding and mechanics have to move in to serve purposes that strategically-placed obstacles used to play. In the past, a proper sequence of events was established by putting things like trees and boulders in your way. Behind them would be, say, a villain, and you'd get the HM move to pass the obstacle at a certain point, so you'd meet a villain at the time that it was appropriate to the plot. That wouldn't work if the world was open, exploitable with Pokemon abilities as players wish, so instead, we'd need the game to track player accomplishments and determine, from those, when a plot-relevant character spawns at the point. Likewise, you'd probably have to toughen up wild Pokemon in many places, to make them serve as obstacles instead. However, this supposed necessity of structuring a world in a way that can tell a story, does presume Pokemon games need to focus a heavy narrative, and I'm not sure they really do. Let's address the notion that the real lesson from Breath of the Wild is not"Make it open-world" but "Go back to what makes a series fun". The thing is, to me what makes Pokemon fun, or should make it fun, is the Pokemon. Since these games don't devote much time to writing great plots, I'd argue that a more coherent narrative is an acceptable loss to have from freeing up the world to maximize our abilities to enjoy catching Pokemon, battling Pokemon, and as a big selling point, many new ways of playing with Pokemon. My single biggest request for this series: If it's big and strong enough, let me ride my Pokemon, anywhere, and let me take advantage of its abilities that soon, as well. Likewise with abilities not necessarily tied to riding, like cutting and burning. A Pokemon region doesn't have to be as gigantic as your typical open-world games, but it should be fun to explore, with the help of my Pokemon and their abilities, which in practice does mandate it being a bit bigger. Don't think of bodies of water, for example, in terms of "Get the Surf HM, so you can cross this body of water, and get to that plot-critical location"; give me the ability to go into the water the moment I have a Pokemon that can swim and is strong enough to carry me, and just make the water large enough and full enough of exotic Pokemon that I can have fun exploring it, instead of just trying to cross it. Again, I'd argue that this does, in fact, go back to Pokemon's essence. The series is at least partially a homage to Japan's more rural, mythologized past, the "cities" in Pokemon games aren't very big or interesting, and the structured battles within them aren't what many would consider an adventure to be, so reaching those destinations, I think, should be secondary to savoring the journey. Combusken looks like something also known as the male of its species; don't you think? I agree with Bolt that leaving high-level areas open is kind of pointless. There's still a linear path that you're meant to follow, and allowing players to access more difficult areas straight away doesn't add anything, because you're just gonna get crushed by the stronger Pokemon and go for the more sensible option anyway. Breath of the Wild has a structured flow for its story as well (Ruta --> Rudania --> Medoh --> Naboris --> Calamity Ganon). The story is even designed for you to take this route. The point is you don't have to take that route. A incredibly missed opportunity with Sun and Moon was not making each island explorable. I was hoping to travel around and explore Melemele before actually starting the story, but no. I was forced to move at a glacial pace, and in a precise direction. It felt less like an RPG and more like an adventure game. All I ask is that we are given time. Let us explore and fill things out before we go into the next part of the story. Okay, thanks for answering that - even if I can't say it until everyone already knows! So last time we spoke, back at the Let's Go reveal in Japan, the topic of open-world Nintendo Switch games came up, like Breath of the Wild and Super Mario Odyssey, and you mentioned that there's a possibility that one day Pokémon might follow suit. I know that's purposefully vague, but is that still something that's being considered? Is that something that you see one day happening on the Switch? Junichi Masuda: Well you know in general, I always want to be kind of facing new challenges and trying to you know, do new things with Pokémon. You know it's a different matter whether players will actually enjoy that kind of playstyle, but really you know, things like setting up an AI so that you know real world Pokémon appear, or different ways to appreciate the game, I'm always kind of thinking how to approach the Pokémon series from a different aspect so, in that sense, it's still on the cards. Naturally not much, but this is a good sign. Open world is being brought up multiple times by fans and interviewers, and Game Freak is starting to consider it. The more people push for open world, the more likely Game Freak is going to consider the demand for it and make it actually happen. At this rate, we'll probably see an actual open world game by 9th gen if not next year. Looks to me like he just didn't answer the question at all... Masuda's answers are always so vague, maybe I'm just weird but I can't ever get a good grasp of what he actually means. The sentences just don't flow nicely, there's chaos there. Are these interviews done in English and is Masuda just struggling with the language, or is it a translation thing on Eurogamer's side? To me that seemed like the vaguest way of saying yes, without actually saying yes. Because obviously he can't at this point, the media and fans would be all over it way too soon, but after reading that comment I would not be surprised if the 2019 games implented some element of that in the gameplay. Exactly. They're not going to reveal something like that in an interview, they don't want to show their hand too early and cannibalize LGPE or alert competitors to their plans. We're not going to know for sure we're getting an open world game until Game Freak reveals an open world game. So this is about as close to a confirmation as we're going to get through an interview. Maybe that's arguable, but I'd say it's at least a more lore-friendly way to impede progress. When I talk about lore-gameplay dissonance, what I mean is that when we're constantly being told that Pokemon have all sorts of potentially cool abilities, it can be disheartening to have those abilities limited to specific use in pre-packaged lock-and-key situations, which require contrived means of being able to access what should be inherent Pokemon abilities. Clearly, there are a lot of people who prefer the more open play of the original Zelda and BOTW to the many lock-and-key games we got in the interim between those, but I'd say lock-and-key world design is at least a bit more acceptable to the Zelda series because by default, Link is pretty weak, and he gradually collects items to help him pull through; items that have only a few uses that seem sensible for them. Pokemon, as creatures with all sorts of powers, shouldn't be as limited in use as such items. I'm all for being able to move a boulder just as soon as you obtain a Pokemon that is canonically strong enough, and instead of having to do something to obtain the Strength HM, being impeded in progress because of wild Pokemon that are too high of level. The reason I'm fine with these things is that on both the player and NPC ends, what you can and can't access stems from the capacity of Pokemon being given its full due. Ideally, however, this wouldn't be a case of "what you can and can't access". Rather, it would be "what's easier and harder to access". Games impede people's progress by their very nature. Conquering these impediments is supposed to be part of the fun. Personally I don't need the whole region to be an interconnected open world like Breath of the Wild. I'd be fine with making the routes a bit bigger and longer. That way it's more challenging to get from one town to the next. Not just a straight line and thirty seconds you're through it. But with these larger scale routes they could have more nooks and crannies to explore. That's exactly how I think it should be. Either with more accessible branches, for forest routes for example, or larger areas overall without most of them being filled with void, for deserts for example - I wouldn't just want a vast area of emptiness, however. Have hidden caves, an oasis, etc. And certain secret areas could be hidden, or require to solve puzzles and stuff to access them. I've said that in a previous thread, but if I were to give the name of one series that does that right, it would be the Tales Of series or Ni No Kuni. I think GF should be inspired by how the routes and dungeons are designed in those games (although, in NNK's case, there's also a whole open world aspect). If Masuda is actually serious about this, then please for the love of God, GET MONOLITH SOFT TO HELP. GameFreak will never be able to make a good open-world on their own. It would be a disaster. I would simply enjoy having more opportunities in the existing Pokemon world. I think we all get stuck in this fixed pie mentality that you have to go out and battle gyms and beat the Elite 4. I believe that the premise of the original Pokemon games were to catch all 150 Pokemon for Professor Oak. It was only because you were already traveling through the Kanto region when someone suggested taking the gym leader challenge. I believe that there can be so many opportunities for a player to have in an existing Pokemon world. For example, having different ambitions/professions that you can pick and choose from. I believe that LGPE could potentially deliver it over time. If you want to become a gym leader, beat the Elite 4 and then train three Pokemon of the same type to Level 50 and take over the now vacant Viridian gym and see how many battles your three Pokemon can win in a row. I’ve always loved the Pokemon contests in Ruby and Sapphire. I would like for them to make a comeback for aspiring Pokemon Coordinators. I feel like a player could cherry pick one or more of these quests to complete. Either one at a time or do them all concurrently. I have always thought that gameplay became stale after beating the Pokemon league. I think having various “careers/ambitions” to play through can keep the game more engaging over time. Moreover, now that Pokemon is on Switch, I feel like routine updates over WIFI can add in new challenges over time to keep the game evergreen while you complete your task of filling up your Pokedex. I think I will like LGPE for the nostalgia. I hope they do something similar to Pokemon Go where they add Community Days and special quests in the game updates to keep things fun through game updates.